Incoming Tourism Agents and Destination Management Companies are disappointed by Government’s lack of consultation with all stakeholders on the introduction of the Eco Tax, the agents said in a statement. The Federated Association of Travel and Tourism Agents (FATTA) complained that the total lack of information on the tax until the eleventh hour is inconsiderate to the industry. 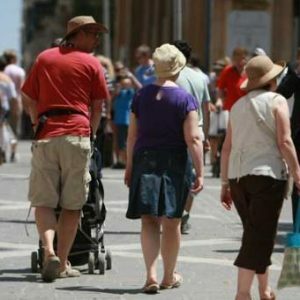 FATTA feels the Government has chosen to ignore the fact that 44% of tourists arrivals come on organised package holidays which are typically priced many months in advance and that tour operators selling such packages are very often committed to honour brochure prices and absorb any additional costs that may be imposed. Although the eco tax was initially announced as a 2016 budget measure in last October’s budget speech to become effective on 1st April 2016, Government became involved in long winded discussions with just one stakeholder on the method of collection of the tax. These protracted discussions with the hotel sector resulted in an unnecessary delay in communicating the details to the trade, even forcing Government to delay the introduction date by two months from the original plan. The details have now only been communicated to operators effectively giving them less than eight weeks’ notice. FATTA noted that although the tax might not have a short term impact on tourist arrivals, Government’s insensitivity to the pricing dynamics and models of a significant segment of the industry by imposing additional costs at very short notice does not inspire the long term loyalty or confidence of the affected operators to Malta as a destination. FATTA said it is also extremely surprised by the unprecedented concession to hotels of a 15% “allowance” on the collectable tax in the first five months from the introduction of the tax – effectively a commission on tax collection of an estimated €0.4million – €0.5million to the hotel sector, and questions whether this is what prolonged the discussions on what should have been a simple adaptation of similar schemes across the globe. FATTA strongly implored the Government to reconsider its position and push back the implementation date further to 1st November 2016. This will make implementation smoother, simultaneously giving time to accommodation providers to make the necessary adjustments to their systems to collect this tax and operators modify their packages to advise clients of this additional cost at time of booking confirmation. FATTA also calls for the withdrawal of any “allowance” on the collectable tax which creates a precedent and unnecessary loophole.